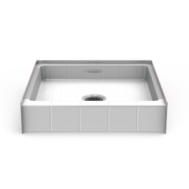 Heavy one piece construction makes this product an excellent choice to use with your tile shower walls. Designed to fit seamlessly into your existing stud pocket. 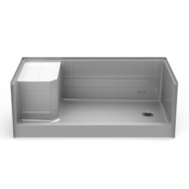 As a result Bestbath shower pans are remarkably durable and available in a full range of sizes. Standard curbed for non accessible applications. 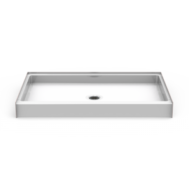 Barrier-free pans are available for easy entry and have a a slip resistant surface finish. Also offered with several choices of drain positions. 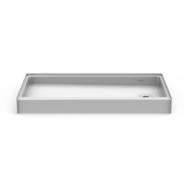 ADA shower pans are pre-leveled at the factory and require no mud setting. 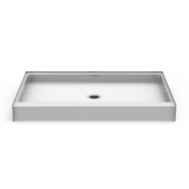 Shop Bestbath shower bases for sale today. 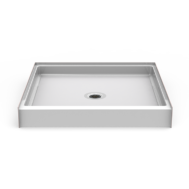 Complete your shower pan installations with our drains and water stopper kits.